Samsung’s wearable, the Gear S2, has received a new software upgrade from the South Korean manufacturer. The user interface has been overhauled, the Samsung Health widget has been enhanced, and the watch can be used in conjunction with the Gear VR headset and PowerPoint presentations. 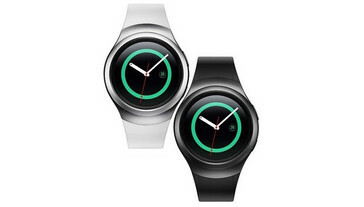 The update can be accessed through the Samsung Gear app. Samsung released the Gear S2 smartwatch in October 2015, and since then the wearable has been succeeded by the Gear S3, which was released in November 2016. However, this has not prevented the South Korean technology company from providing an update for the Gear S2 that will likely be much-appreciated by its users. The smartwatch's user interface has been made clearer and incorporates a new App Shortcuts widget, enabling the wearer to access frequently used apps in a more expedient manner. The activity widget has been enhanced for improved readability and the Samsung Health app offers vital fitness information such as pace count and heart rate. The upgrade includes additional inactivity alerts that will remind the user to stay in shape by engaging in brief spurts of exercise. Samsung has also introduced new connectivity features to the Gear S2. Apparently, by downloading the Gear VR Controller app it will be possible to manipulate a Gear VR headset by using the smartwatch. A PPT Controller app will give Gear S2 wearers a remote control function for PowerPoint presentations, if required. The Samsung software update also gives the Gear S2 the ability to offer detailed weather information. The official news article for this update states that “the smartwatch is continuously evolving,” and with this considerable upgrade Samsung has demonstrated that the Gear S2 may have a successor but has not been forgotten.